As someone who did not enjoy an emotionally open relationship with her mother, I was enthralled with Diane Wyshograd’s writing project, when she turned to me for help in 2002. She wanted to write about her mother’s amazing survival story during the Holocaust, but she also wanted to write about the relationship that developed between mother and daughter during her “research.” Diane spent hundreds of hours interviewing, milking her mother for her story. It was an ambitious project. She had been working on it for five years. 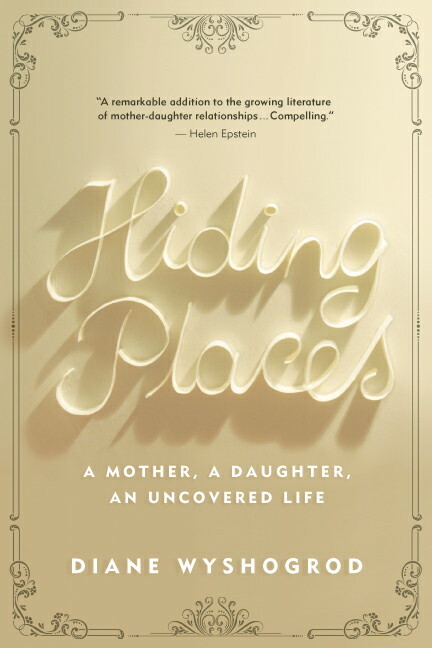 In 2012, State University of New York Press published Hiding Places: A Mother, a Daughter, an Uncovered Life. I share Diane’s excitement and sense of fulfillment seeing this incredible story finally in print. 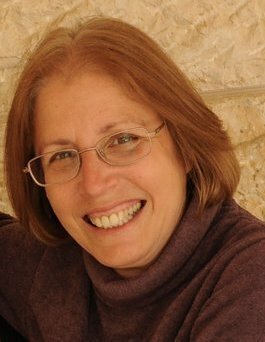 Being one of the proud midwives to Hiding Places, I’ve invited Diane to share her writing process with readers here at WriteInIsrael.com . I hope your reading about her process over the past fifteen years will inspire you to persevere, persist, continue to write until the chaos, confusion, fear and doubts, which rumble beneath every story, finally give birth to a book. Hiding Places is about our need for stories, how we get those stories, and how this process can change our lives. From Diane: In one of my favorite movies, Field of Dreams, Ray Kinsella (played by Kevin Costner) is spurred to build his dream baseball diamond by a ghostly voice urging him to “stay the course.” That could be my mantra as well: I stuck with a book-dream for over 15 years and finally saw it published this past April 2012. But when asked to share what helped me stay the course, I find myself responding with trepidation. I recently heard (but don’t have the source for, sorry) that most books take between 4 to 7 years to write. Mine took considerably longer than that, so what do I know? On the other hand, the same source says 90% of books are never finished. I consider myself blessed that I now fall into the other 10%. So here’s what I do know: it’s possible. And well worth hanging in there. Yet it’s true. There is no one way to write and complete a book. Some writing coaches can teach you to write a book in a weekend. (“Use very wide margins.” “Think ‘an inch deep and a mile wide.’”) Other books take decades. Like mine. There’s a place for fast food, and for slow cooking. Even very slow cooking. Believing that what I want to say is important, that it matters. When I lost sight of that vision (as I occasionally did), having trusted friends who reminded me, refreshed my spirit, and helped me get back on track. Think: bystanders cheering you on as you run the marathon. Separating myself from the writing, no matter how personal the subject matter. Learning that critiquing it does not mean critiquing me. What helped me do this was asking myself over and over: “Is this working? Is this conveying exactly what I want it to?” The more I focused on that, the less it was about “me”, and the easier and more effective the work. Loving the challenge of editing, shaping, and honing. Hundreds of times, if necessary. Reading. For the joy, the language, the inspiration, the learning, the miracle of the written word, the inspiration of other writers. Reminding myself: this is what I wanted to do, ever since I was little. This entry was posted in Creative Nonfiction, Persistence and tagged Diane Wyshogrod, Hiding Places. Bookmark the permalink. Fascinating. Thank you, Diane. I look forward to reading your book. What I find so amazing about this story is not only that Diane Wyshogrod completed the book, but that apparently she did so while leading a very full professional life. I agree. Maybe her next book should be about Time Management. sounds interesting. I’m going to check out the web site. Good going Judy.